FLEMING, Patricia Dianne (neé De Mille)... Passed away peacefully on Sunday, January 27th, 2019 at the age of 66. 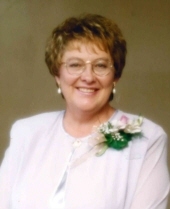 Beloved wife of Larry Fleming for 48 years. Loving mother of Tammy & her husband Mark Beaudrie, Dianne Gracie & her husband Brian, Jackie Fleming, Rick & his wife Laura Fleming and Tina Fleming. Proud Nama of Megan Beaudrie, Breanna Gracie, Josie Fleming, Caylin Gracie, Sydne Beaudrie, Cassie Beaudrie, Alex Gracie, Tucker Fleming and Haille Fleming. Cherished sister of Jim De Mille, Donald (Brenda) De Mille, Doug (late Donna) De Mille and Maida Bellamy. Predeceased by her parents David & Jean De Mille and her sister Gloria Jordison. Patricia will be truly missed by nieces, nephews, extended family and many friends. A Celebration of Life and Reception will take place at WEAVER Life Centre - East, 29 Bay St. Trenton on Friday, February 1st, 2019 from 2-4 PM. As per Patricia's wishes, cremation has taken place. Inurnment to take place at Stockdale Cemetery in the Spring. In lieu of flowers, a donation may be made to the Lung Association of Canada or the Heart and Stroke Foundation. "Email Address" would like to share the life celebration of Patricia Dianne Fleming. Click on the "link" to go to share a favorite memory or leave a condolence message for the family.